Athletes Sam and Jake with their parents, Coach Sam and Katie. Our athletes with special needs gain so much when they participate as part of a team. Take Sam and Jake for example. These brothers, ages 9 and 6 years, play in Division 3, our youngest age division. 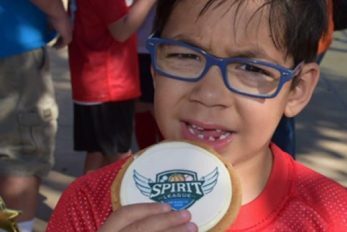 On their first day with Spirit League, their mom Katie stood crying on the sidelines while watching them play soccer. 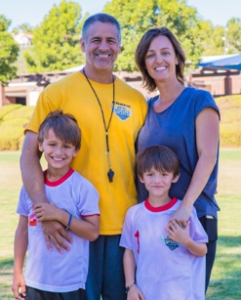 When asked if she was alright, she responded saying that she couldn’t believe her sons were finally able to play on a team. She was overwhelmed. 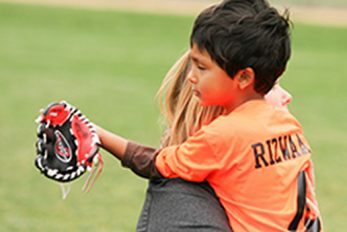 Our mission is to help special needs children and young adults excel through team sports. For our athletes, our goal is to foster self-esteem, enhance social skills and build friendships. For our families, our goal is to strengthen relationships, provide support and develop community. 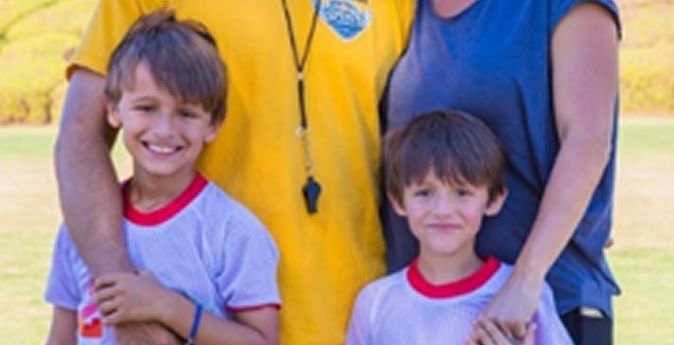 We are excited to the successful implementation of our mission and goals shown through Sam, Jake and their family.